PETE WILLIAMS: While Barack Obama's election has stirred the passions of some white separatists, a former FBI official, who tracked hate groups, said overall there's been no spike in activity. MIKE ROLINCE, FORMER FBI COUNTER-TERROR OFFICIAL: Reluctant to call it either a resurgence or a spike based on what is now an incident that clearly deserves the attention of law enforcement and of the public. 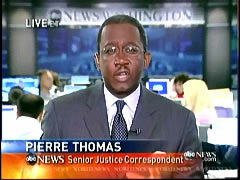 PIERRE THOMAS: A cold-blooded murder at the Holocaust Museum by a white supremacist. An abortion doctor gunned down in a church two weeks ago. January 21st, Brockton Massachusetts, a day after inauguration, a man who police say had a plan to kill as many blacks, Hispanics and Jews as he could, rapes a minority woman and kills two. Radicals of the ultra-fringe, filled with rage about illegal immigration, fear of losing their guns, abortion and race making law enforcement increasingly nervous about a potential wave of domestic terror. BRAD GARRETT, FORMER SPECIAL AGENT, FBI: These people are acting because they really believe there's a big conspiracy going on. That people are going to take their guns away. Or African-Americans are going to take over and run the country. 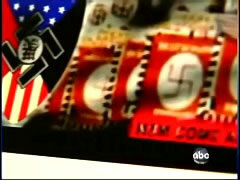 THOMAS: Last year the Southern Poverty Law Center identified 926 active hate groups. That number is up 54 percent compared to 2000. That growth, police say, has been fueled by an explosion of racial and homophobic venom posted on the Internet. And police say there's evidence leaders of these groups are trying to instigate violence while hiding behind free speech. POTAK: What we're seeing is rhetoric on the Internet accompanied, in many cases, by hard facts -- things like addresses and telephone numbers that would help people go out and actually assassinate or murder their enemies. THOMAS: The FBI says it's a game of cat and mouse. JOSEPH PERSICHINI JR., ASST DIRECTOR, FBI WASHINGTON FIELD OFFICE: Many of these individuals are totally aware of what you can and cannot say in crossing the line. THOMAS: Police are looking at hundreds of radical Web sites, trying to determine when rhetoric transitions into specific calls for murder.